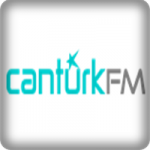 Canturk FM live broadcasting from Turkey. 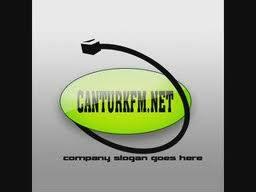 Canturk FM is one of the most famous online radio station on Turkey. Cantürk FM, which started broadcasting on October 1, 2007, has been among the best radios of its kind since its establishment. The radio, which adopts quality broadcasting concept, offers 24 hour uninterrupted relaxation with experienced publishers. Turkish Pop, Slow, fantasy, arabesk is broadcasting on the radio, the most popular love songs, unforgettable classicized works meet with listeners. Cantürk FM will continue to be the best in the future as it is now, with each passing day developing itself a little bit further. Thank you for listening and listening. Cantürk FM, knowing that music is very important for society, thinking of it as a part of our day. Music for this reason; Art, art music; We perceive and appreciate the voices, folk and arabesque music of our culture as the color and smell of our earth and the other kinds of our young people’s interests. But it is selective in all kinds of music and artists. Know that it is very important for society. Music for this reason; Art, art music; We perceive and appreciate the voices, folk and arabesque music of our culture as the color and smell of our earth and the other kinds of our young people’s interests. But it is selective in all kinds of music and artists. Know that it is very important for society. Music for this reason; Art, art music; We perceive and appreciate the voices, folk and arabesque music of our culture as the color and smell of our earth and other genres of our young people. But it is selective in all kinds of music and artists.